If you want to experience the mobility of the future first hand, visit the Bosch stand in the convention center. 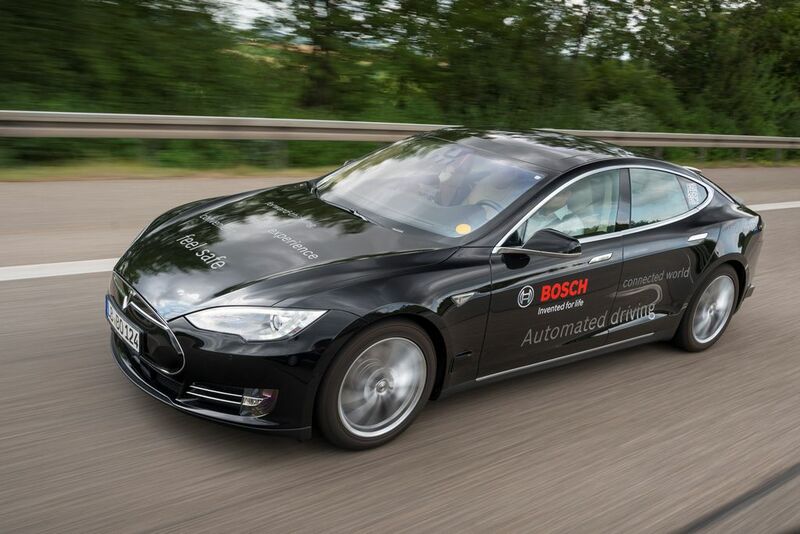 You have the possibility to win one of six highway drives with a highly automated test vehicle from Bosch. Join in and experience highly automated driving live. Please download the flyer, fill it out, and turn it in at the Bosch stand. When will FUSION be held? FUSION will take place July 5th to July 8th. Papers are published on IEEExplore after the conference. One year after the conference, the papers become freely available on isif.org. Heidelberg is one of the most popular cities in Germany with an exceptional location beside the river Neckar. Its world famous historical castle, the Old Town, and the longest pedestrian zone in Europe are unique. Heidelberg is also well known for its “Ruprecht-Karls-University”, which is the oldest one in Germany, founded in 1386. The city has a fascinating charm due to the contrast of history and vibrant student life. There is a variety of cultural offerings, shopping opportunities, and fine restaurants that make Heidelberg interesting for all visitors. It is surrounded by top universities in Karlsruhe, Darmstadt, Stuttgart, Mannheim, Kaiserslautern, Aachen, Cologne, Ulm, Munich and many high-tech companies. Heidelberg castle is the world’s most famous castle ruin and the town’s landmark. Once a masterpiece of Renaissance architecture, the castle was destroyed in the 17th and 18th centuries and has only been partially rebuilt since that time. It dominates the view of the Old Town and can be reached by the “Heidelberg Bergbahn”, a historical funicular railway, that runs from the Old Town to the summit of the “Königstuhl”. The historical city center, the “Altstadt” (Old Town) contains many beautiful streets and architectural gems. For example, the famous Old Bridge over the river Neckar, is one of Heidelberg’s main attractions. The river banks of the river Neckar are a perfect place to relax and to enjoy the magnificient view of the castle. The scenic Philosopher's Walk offers a breathtaking view over the river valley, the Old Town, and the Heidelberg castle. Heidelberg has a perfect location within Germany as major cities are close by, e.g., Cologne (2h 30 min), Munich (3 h 30 min), and is the ideal base for excursions: Porsche and Mercedes Benz have their head offices, factories, and museums in Stuttgart (80 min). Baden-Baden (60 min) offers a famous horse racing venue. Germany's highest waterfalls, the world's largest cuckoo clock, and the house of 1000 clocks can be visited in Triberg (2 h) in the famous Black Forest. Speyer (30 min) is a historically important city. Its cathedral is the largest still preserved Romanesque church in the world and on the UNESCO world heritage list of culturally important sites. Schwetzingen Palace (20 min) is a baroque castle famous for its beautiful large garden. Day trips to other European countries are possible including France, e.g., Strasbourg, Alsace (90 min) or Metz (2h), and Switzerland and the Alps, e.g., Basel (2 h 30 min).